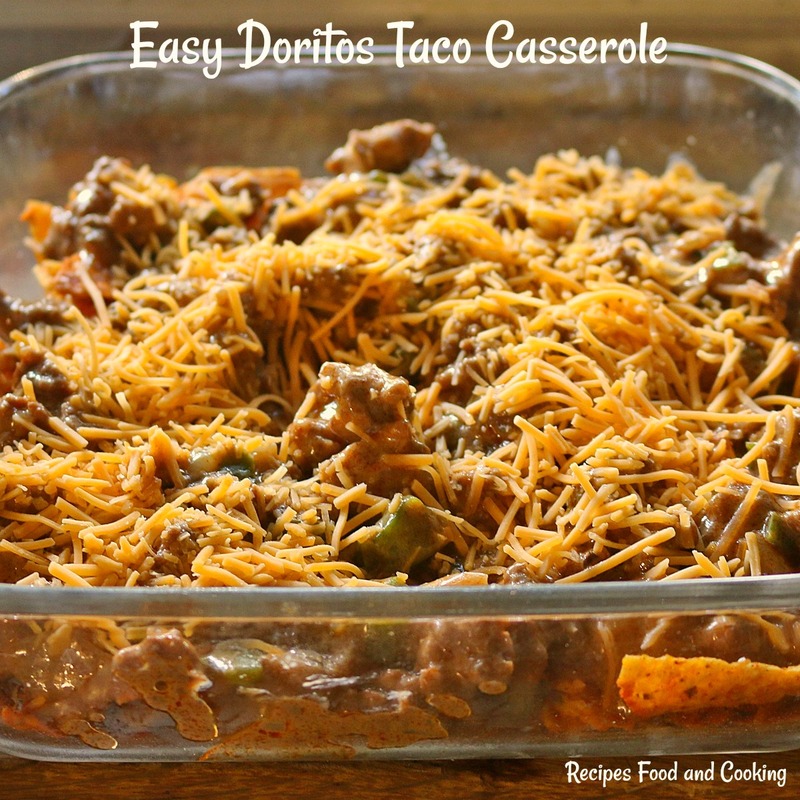 This Easy Doritos Taco Casserole if fast, delicious and we really love it. The best thing is you can have it in the oven in less than 20 minutes so it fits the bill when you need something fast. 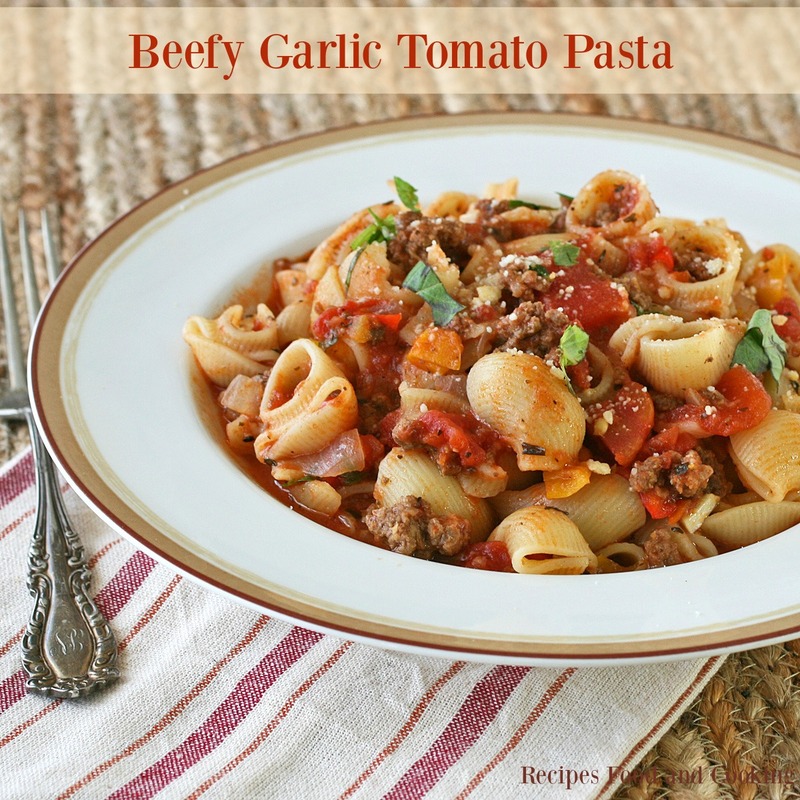 Serve it with lettuce, tomatoes, salsa or sour cream on the side. 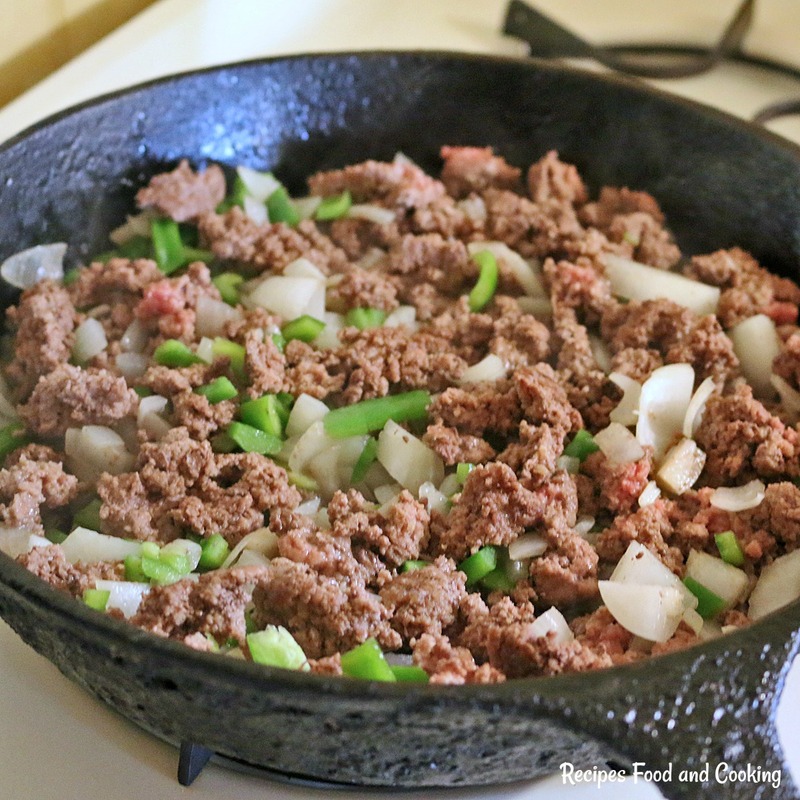 Brown the ground beef, onions and green peppers. Drain of any excess grease if there is some. Next you are going to add the soup, water and taco seasoning. Bring it to a boil. Cook until it starts to thicken. This is what the meat mixture will look like when ready to put over the Doritos. 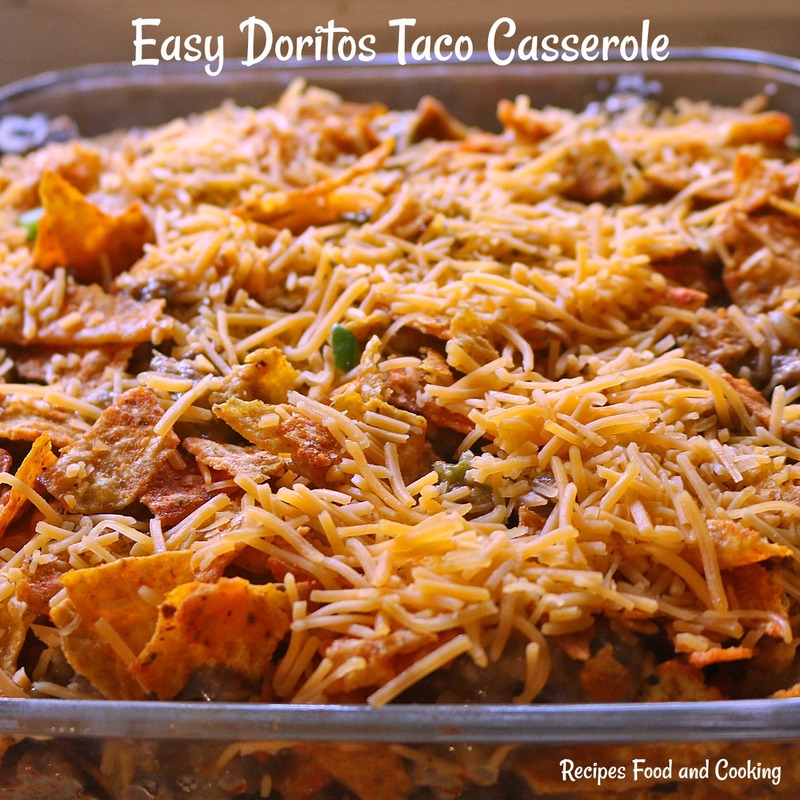 It will soften some of the Doritos but most will stay crunchy. First layer of Doritos, meat mixture and cheese. Top with remaining ingredients. 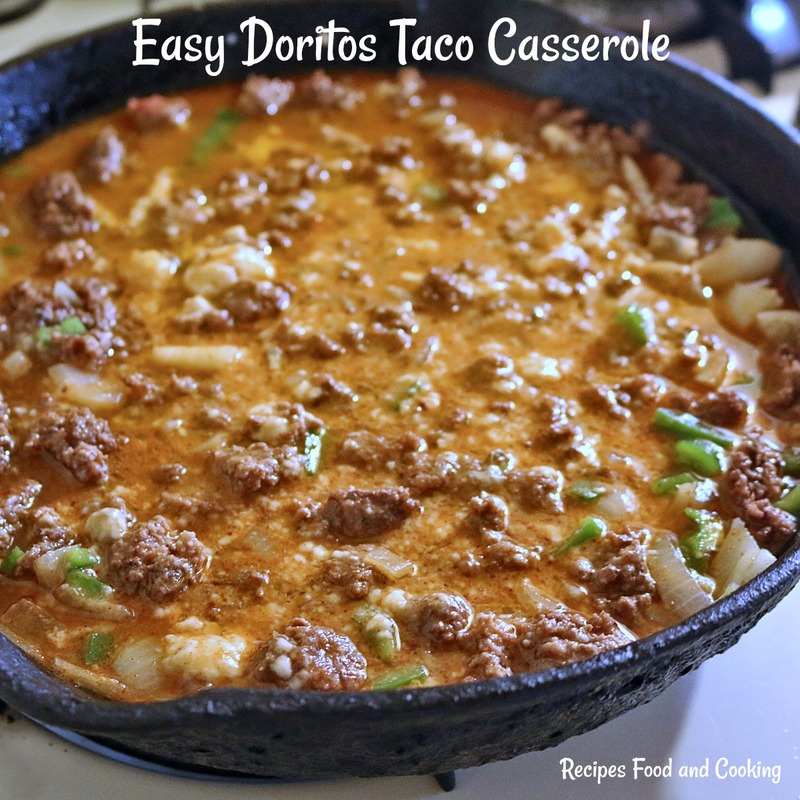 A layer of Doritos, a spicy ground beef mixture topped with cheese make an easy weeknight dinner. Brown the ground beef. Add the onions and green pepper. Cook until onion turns translucent, about 5 minutes. Drain of any excess grease if there is some. Add the mushroom soup, taco mix and water. Cook 5 more minutes until the mixture starts to thicken up. Spray an 8 x 8 pan with cooking spray. Preheat oven to 350 degrees. Crush half of the bag of Doritos and place in bottom of pan. Bake for 20 - 25 minutes until hot and bubbly. Let set 5 minutes before serving with the condiments. You could add a can of pinto or black beans to this. Rinse them first and add when you add the soup. 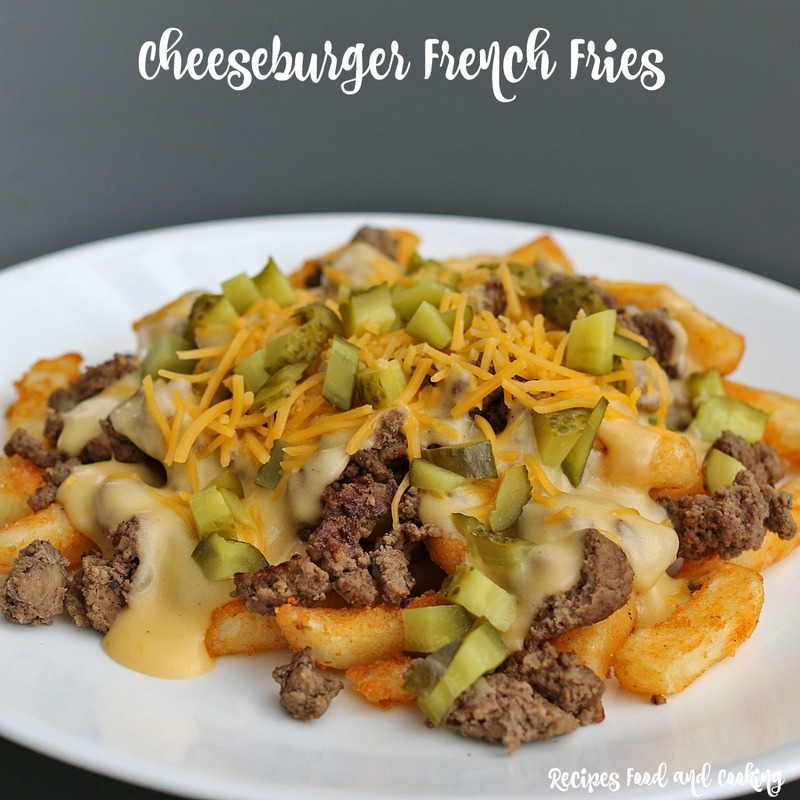 Maybe you’d like to try another of our recipes using ground beef? Yum! 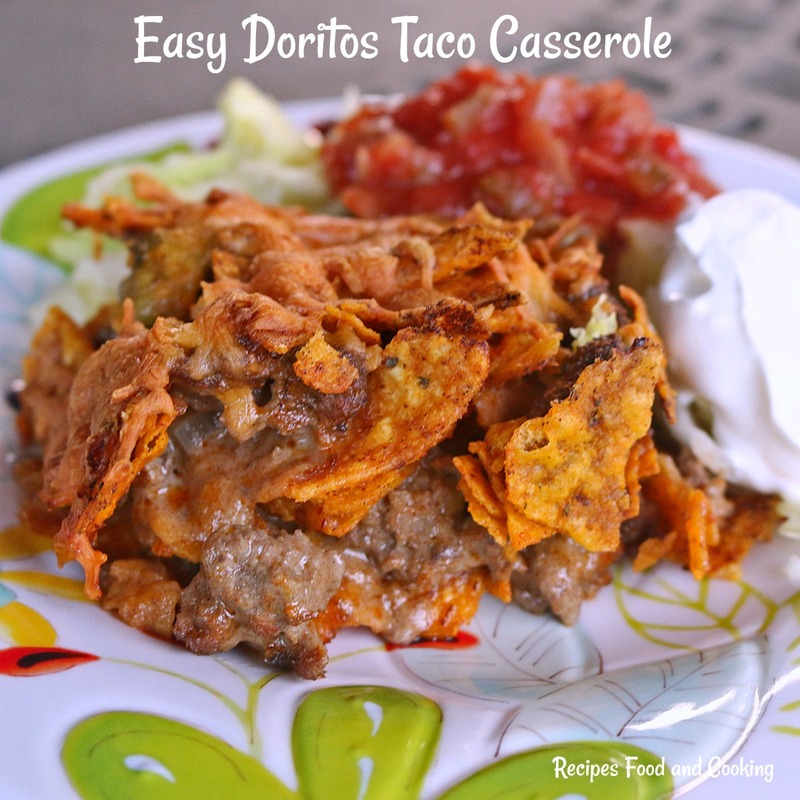 This reminds me of the taco pie from my childhood! 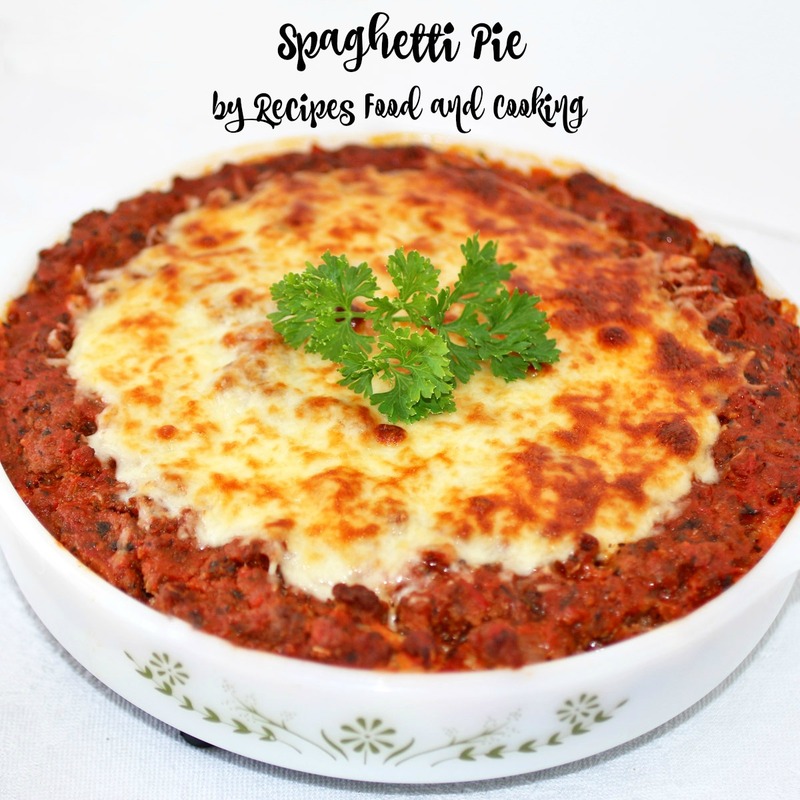 Such delicious comfort food!